As a kid, Claude Giroux rarely missed watching the Stanley Cup Playoffs on television. Now, he has the chance to play a starring role in the real deal, as the Philadelphia Flyers look to go one step further than they did last year. Growing up in Hearst, Ontario, a northern town located about 600 miles from Toronto, Giroux, like most Canadian kids, was glued to the TV set whenever the puck dropped on the NHL Playoffs. These days, Giroux has his sights set on helping the Flyers enjoy widespread television exposure, as the Eastern Conference club seeks to erase last year's six-game Cup Final loss to the Chicago Blackhawks from their memory. While the Flyers have endured a rough patch of late, Giroux, who was selected 22nd overall in the 2006 NHL Entry Draft, and his teammates, are pushing the panic button. For his part, the 2007–08 QMJHL First All-Star Team selection, who is playing at an almost point-per-game clip this season, isn't looking to tweak his game heading into the playoffs. While last year's Cup Final loss was hugely disappointing, it also gave Giroux and his teammates plenty to build on as they look for a return trip to the championship. “I think it's important that you just stay focused and you play the same game you were playing during the season,” said the right-winger, who scored his first NHL goal against the Florida Panthers on January 27, 2009. “I don't think it's necessary to change your game. Giroux suggests that Philadelphia's recent poor play could be, in the long run, not necessarily a bad thing. Motivation has never been an issue for Giroux, who is looking to put last year's post-season experience to good use this time around. He doesn't need to be reminded that he'll be counted on to continue his consistent play once the curtain rises on this year's playoffs. 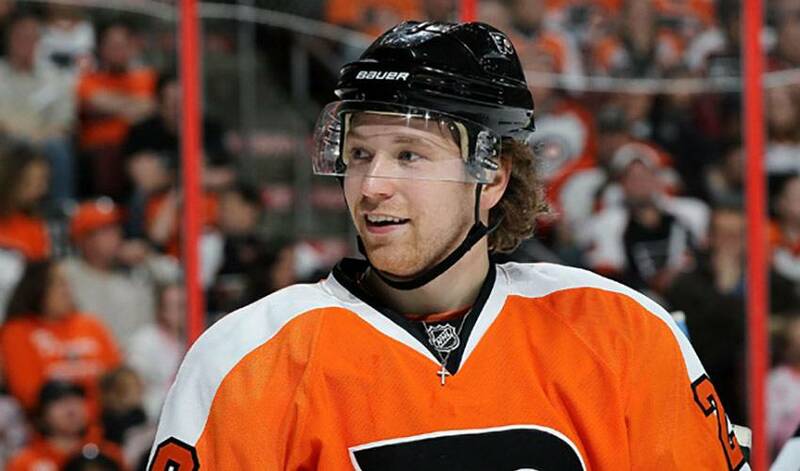 Philadelphia General Manager and former Flyers standout Paul Holmgren has no doubt Giroux can handle the pressure. “I think Claude is certainly a guy that wants the ball,” said Holmgren. “He wants to have the puck in key situations, and I don't see that changing. I think even two playoffs ago it started for us when we got beat in the first round against Pittsburgh, and Claude played exceptionally well in this series, too.